We know, Kennebunkport is best known as a lobster and seafood destination. However, there are times when only a margarita, chips, guacamole and salsa will do. 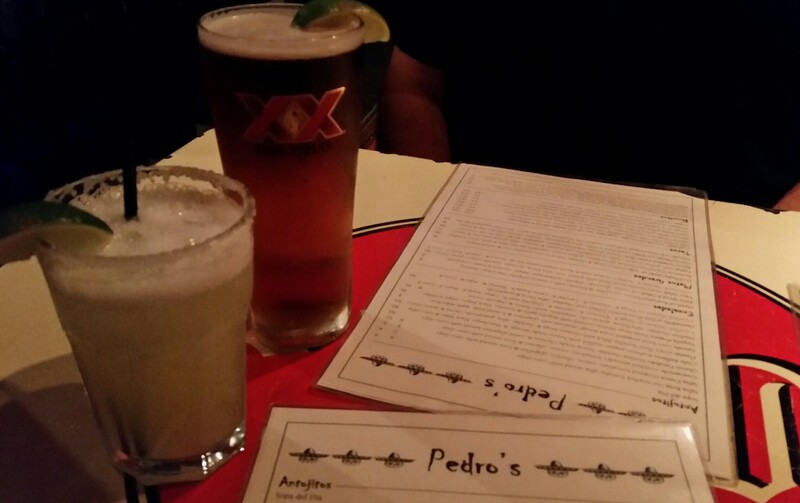 For those times, head to Pedro’s in Kennebunks Lower Village! edro’s is owned and operated by husband and wife team Kate and Pete Morency. They also own and operate Pier 77 and The Ramp on Kennebunkport’s Cape Porpoise Pier. Chef Pete’s love for Mexican food was born out of 20 years spent cooking in San Francisco kitchens amongst Mexicanos, Guatamantecos and Nicaraguenzas who shared their love for their culture and their foods with him. Kate also spent a year in Zihuatanejo back in the day and the couple has traveled together throughout Mexico. Pedro’s is open year around. The interior has been decorated very effectively in a Mexican cantina style. This restaurant is very casual with a whole lot of atmosphere. There’s also dining on an outside patio which is hugely popular in the warmer months. Sombrero’s decorate the ceiling and old antique items are dotted around the restaurant. We often sit under an old accordion in the corner next to the big wooden cross on the window ledge. Dozens of different shapes and sizes of light bulbs hang from the ceiling over the bar. And yes, that’s a donkey statue on the other side of the room. This is a lively destination in the summer months and one of the few places to offer live music. As we’ve already mentioned, this is a great destination for margaritas. They have a full bar so any drink is available and they also offer a range of Mexican beers and Sangria. If Tequila is your thing, they have a number of brands to choose from. The menu is simple but offers a great deal of choice and the prices are good. There’s usually an appetizer and entrée special to choose from. 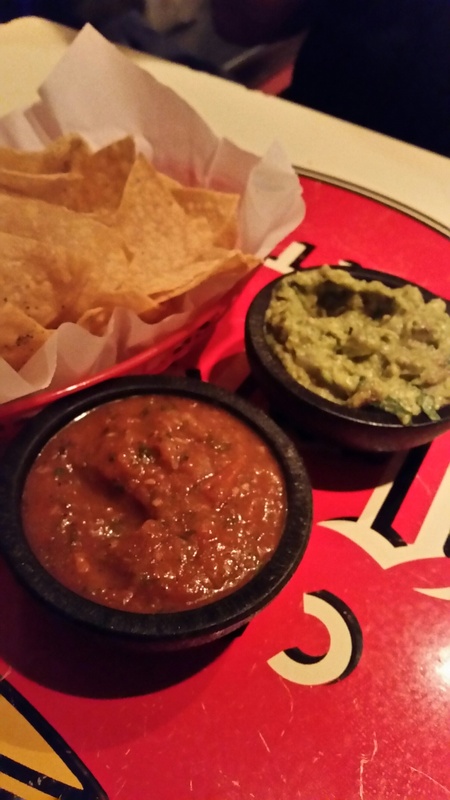 We highly recommend starting with chips, salsa and guacamole. The salsa is fresh and just a little spicy. The guacamole is chunky and full of tomato, avocado onion and seasoned perfectly. Entrée’s include chicken, pork, beef and seafood options. Roger is a big fan of their Fajita’s. He gets a beef and chicken mix which is served with fresh pico de gallo salsa, rice, beans and more guacamole. The taco plate can be ordered with just the tacos (small plate) or with beans and rice too (large plate). And the burritos are stuffed with rice, beans, meat of your choice and guacamole. Delicious! If you manage to make it to dessert, their churros are freshly fried and served warm covered in a cinnamon sugar with melted chocolate sauce. We also love their Vanilla Flan garnished with an orchid and a dollop of freshly whipped cream. 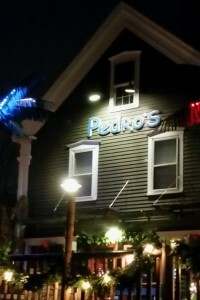 Whether you are looking for lunch or dinner, stop in at Pedro’s when you are next in the Kennebunks for a taste of something from South of the Border. And as this is our last post of 2015, let us say Feliz Navidad to everyone. See you in 2016!